Flexible or semi rigid PVC pipe is widely used in whirlpool bath and hot tub installations as it allows you to use less joints. This pipe is ribbed so can be used either socket and or smooth barb connections. It will NOT seal well on ribbed barb connections! For ribbed barbs use vinyl or reinforced pipe. 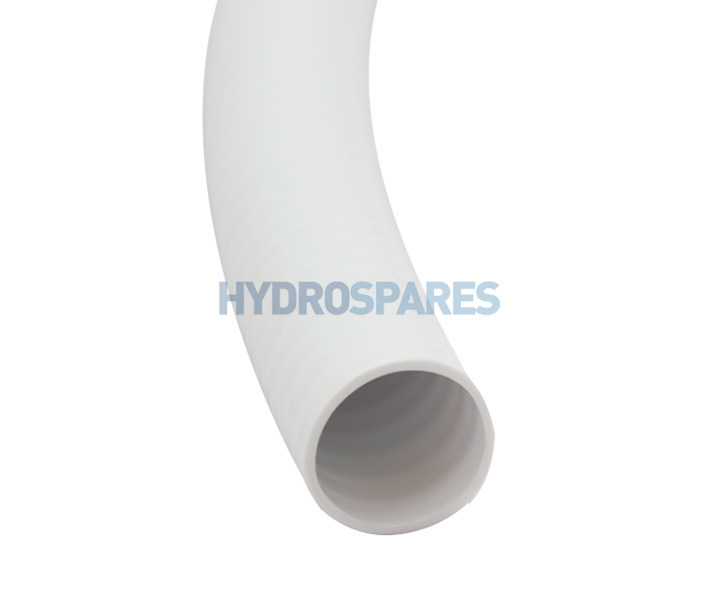 Bulk supply of pipe in continuous rolls is avaliable, Please contact us for shipping quotes. If you are planning any hot tub repairs this is the place to get your spares. I replaced some pipe work line for like. The quality of service was excellent. Highly recommend hydrospares.